Because careless drivers are a fact of life, even the safest drivers can be involved in accidents that weren’t their fault. If you’ve been injured in such an accident, a Murray car accident attorney can help you get the compensation you deserve. Although car accidents are extremely common, the legal process involved in getting the compensation you’re entitled to after a crash is anything but simple. You have to deal with mountains of paperwork, insurance companies, and the other driver’s lawyer—all while you’re recovering from an injury that wasn’t your fault. Unfortunately, if you need compensation after a car crash, you more than likely have a legal battle ahead of you. 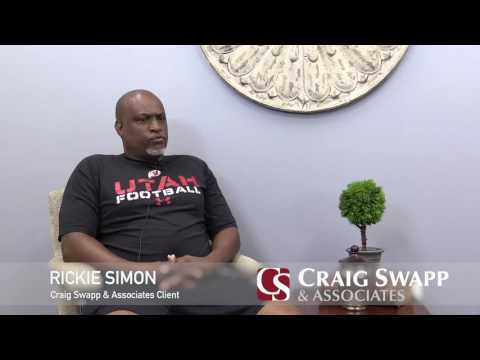 One way to simplify your life while still pursuing the compensation you need is to work with a Murray car accident lawyer at Craig Swapp & Associates. We can help you navigate the difficult road ahead and fight for the compensation you deserve after your car crash. Dealing with the insurance company after you’ve been hurt in a Murray car accident is one of the most frustrating aspects of the entire ordeal. And if you aren’t careful during this part of the process, you could be cheated out of some or all of the compensation you deserve. That’s because insurance companies often care more about saving money than compensating you for your injuries and other damages. They are for-profit businesses, and paying you less benefits the bottom line. In an effort to pay you less than you deserve, the insurance company may make you an initial settlement offer that is too small to cover all of the damages associated with your car wreck. In some cases, the insurer might even refuse to compensate you at all after unfairly blaming you for the crash. A qualified Murray car wreck attorney will know how to stand up to the insurance company and won’t fall for its tricks. Instead of dealing with insurers on your own, allow your lawyer to handle the negotiations on your behalf. Whether you’re offered a satisfactory settlement or we have to win your compensation in court, we’ll make sure you’re compensated for all the damages you’ve suffered as a result of your Murray car crash. Your car crash injury claim should account for financial damages like medical expenses, property damage, and the like, but you won’t want to leave out non-economic damages. You’re likely aware that the consequences of a car accident extend far beyond those that drain your bank account. There are also intangible damages that don’t cost you any money but still have serious impacts on your life. These are called non-economic damages. There’s no need to face the effects of your car crash, your injuries, and your pursuit of compensation alone. With the help of an experienced lawyer, you’ll have the best possible chance of getting the compensation you need to return to your normal life. To speak with a Murray car accident lawyer at Craig Swapp & Associates, call our firm at 1-800-404-9000. If you would prefer to contact us online, you can fill out our online contact form at the bottom of this page.